After being put into bat by CSK, Mumbai suffered an early jolt as Quinton de Kock fell for just 4, caught by Kedar Jadhav at square leg off the bowling of Deepak Chahar. The first three overs of the MI innings produced just nine runs, but the next two went for 30 as Suryakumar Yadav showcased his talent with an array of boundaries. He scored five boundaries against Chahar and Shardul Thakur to give Mumbai some much needed impetus. Ravindra Jadeja struck with his first ball of the innings, getting MI skipper Rohit Sharma stumped by his counterpart MS Dhoni. Spin also accounted for veteran Yuvraj Singh, who hit an Imran Tahir delivery straight down long off’s throat as the home side slumped to 50/3. 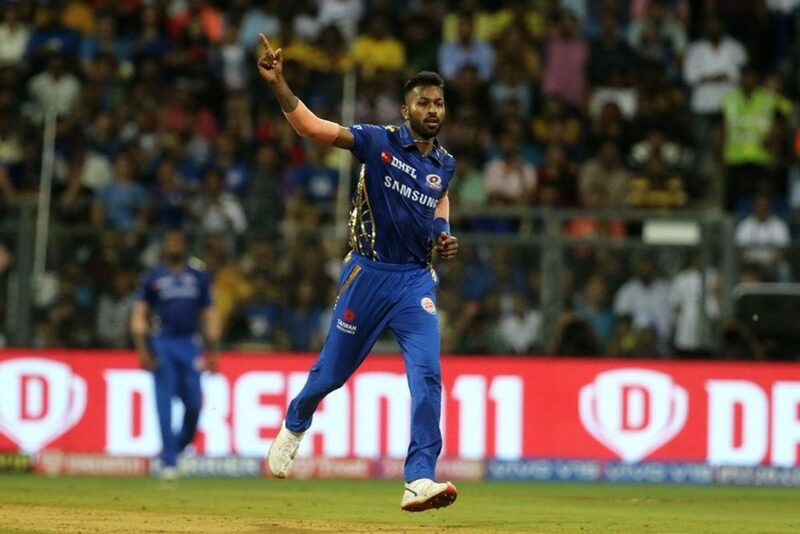 Krunal Pandya promoted to No.5, attempted to resurrect the innings in the company of Yadav. He had two lives- first a drop by Mohit Sharma in the 13th over and then an LBW reprieve via DRS in the very next over. Sharma eventually atoned for his mistake by getting Krunal caught in the deep by Jadeja for 42. Jadeja claimed his second catch of the evening when Yadav fell for a well made 59 on the final ball of Dwayne Bravo’s third over. The latter’s dismissal brought the much maligned Kieran Pollard to the crease, and the big West Indian all rounder and Hardik Pandya managed to pick up 45 runs off the final two overs. It was a bit of a deja vu for CSK, who had done the same against Rajasthan a few days ago. Some of Pandya’s shots were fabulous, including one Dhoni-esque helicopter six against Bravo, who went for 29 in his final over. Chasing a score of 171, Chennai started disastrously as debutant Behrendorff got Rayudu for a golden duck. An excellent catch from Pollard, one of two he was to take in the innings, accounted for Shane Watson. Just as Mumbai had done in their first innings, Chennai also only managed to get their chase moving in the fourth over, with Kedar Jadhav taking Malinga for a six and a four. Suresh Raina kept the momentum going in the next over with consecutive boundaries off Behrendorff’s bowling. The southpaw then tried to back away and smash another one to the fence on the final ball of the over, but a stunning catch from Pollard on the deep point boundary brought an end to his innings. Pandya, fresh off a fine innings with the bat, also had his say with the ball by wrecking the CSK middle order. Dhoni’s miserable stay at the wicket (12 off 21) was ended by a short ball from Hardik, while Ravi Jadeja edged one to QDK in the same over. The 34 year old Jadhav scored a fighting half century before being dismissed by Lasith Malinga in the 18th over. 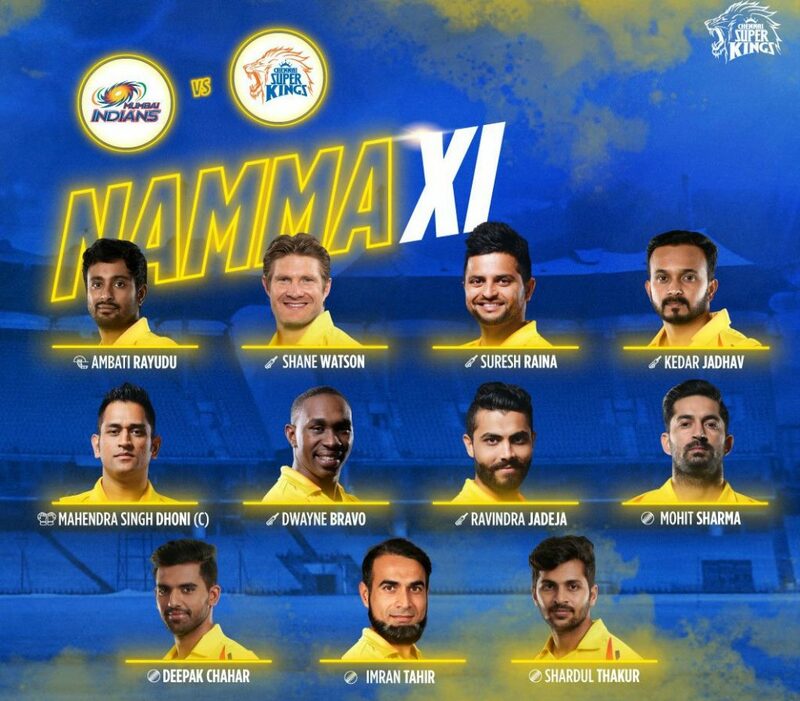 There were simply too many to get at the end, and CSK finished with 133/8 in 20 overs. Malinga and Hardik Pandya both bagged 3 wickets each while Behrendorff claimed 2 wickets on debut.